Defender Pape Souare, whose career was almost cut short by a car crash, has been handed a chance to go to the World Cup after being named on Wednesday in Senegal's squad for warm-up friendlies against Uzbekistan and Bosnia later this month. The 27-year-old Crystal Palace full back is among several players, who did not play a part in Senegal's successful qualifying campaign, to be given an opportunity to prove their fitness for this year's tournament in Russia. 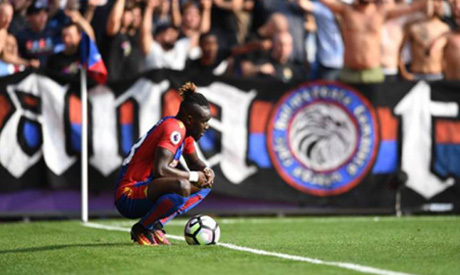 Souare broke his thighbone and jaw and had to be cut from a mangled wreck following the crash in September 2016 and did not play again for over a year. He has only featured three times for struggling Palace this season as a substitute in cup games. Senegal coach Aliou Cisse has also recalled former Chelsea defender Papy Djilobodji, who last played for his country at the 2015 African Nations Cup, and Stoke City striker Mame Biriam Diouf, who was dropped for the last five games of last year. Senegal play Uzbekistan on March 23 in Casablanca, Morocco and Bosnia in Le Havre, France on March 27 as they prepare for only their second World Cup finals appearance. In Russia, Senegal will take on Poland, Japan and Colombia in Group H.
Forwards: Keita Balde (Monaco), Mame Biram Diouf (Stoke City), Moussa Konate (Amiens), Sadio Mane (Liverpool), Santy Ngom (Nantes), Mbaye Niang (Torino), Oumar Niasse (Everton), Diafra Sakho, Ismaila Sarr (both Rennes), Moussa Sow (Bursaspor).